^ Cohen, Larry, Filmography, Internet Movie Database, [accessed] 2011-04-04. ^ Chris Koseluk. Larry Cohen, Writer-Director of 'It's Alive' and 'Hell Up in Harlem,' Dies at 82. The Hollywood Reporter. 2019-03-24 （英语）. ^ Erin Nyren. 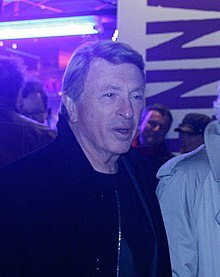 Larry Cohen, Cult Horror Writer-Director of ‘It's Alive,’ Dies at 82. Variety. 2019-03-24 （英语）. Fischer, Michael. Horror Film Directors, 1931-1990 1. McFarland. 1991. ISBN 978-0-899-50609-8. Singer, Michael. Film Directors 7. Lone Eagle Pub. 1989. ISBN 978-0-943-72827-8.